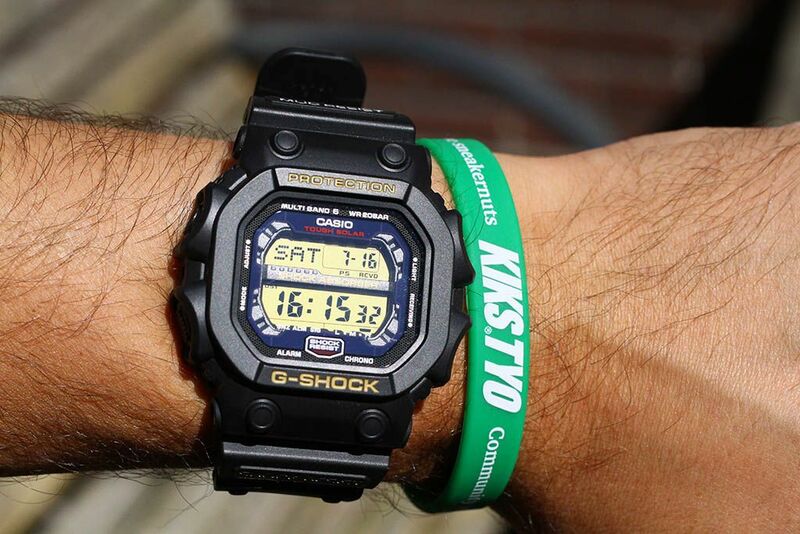 Since the release of the first GXW-56 and GX-56 models, I always loved these "The King of G-Shock"models. I like my watches pretty big and, as you can see, this model is. When the first models were released in July 2010, I couldn’t wait to get the Orange “King” (JP version) and soon after that I also got the GX-56-1AER. There has somehow always been a model that I had on my wanted list for a long time, but never bought. 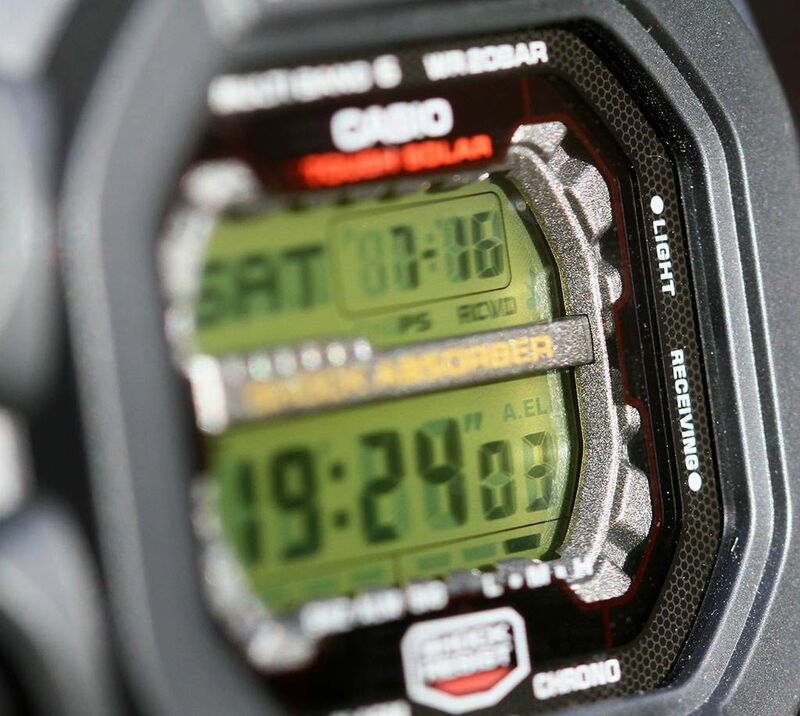 Recently, a several weeks ago, when I heard about the new release of the GXW-56BB, I thought it was time to hunt my missing model, the GXW-56-1BJF, so far the only GWX/GX model with a positive display (a light background with dark digits, like on most regular digital watches). As the GXW-56 models are only sold in Japan, my search began there. 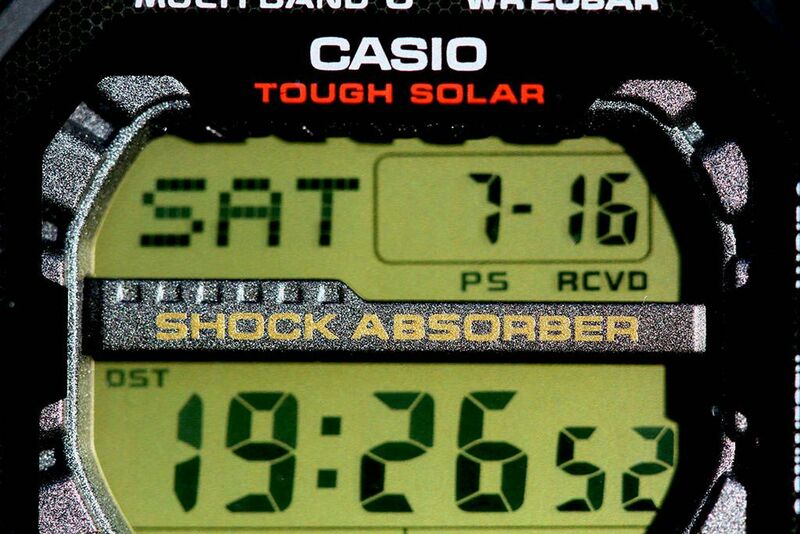 I remember that Casio, probably longer than 10 years ago, revealed one of their prestigious (environmental) goals. 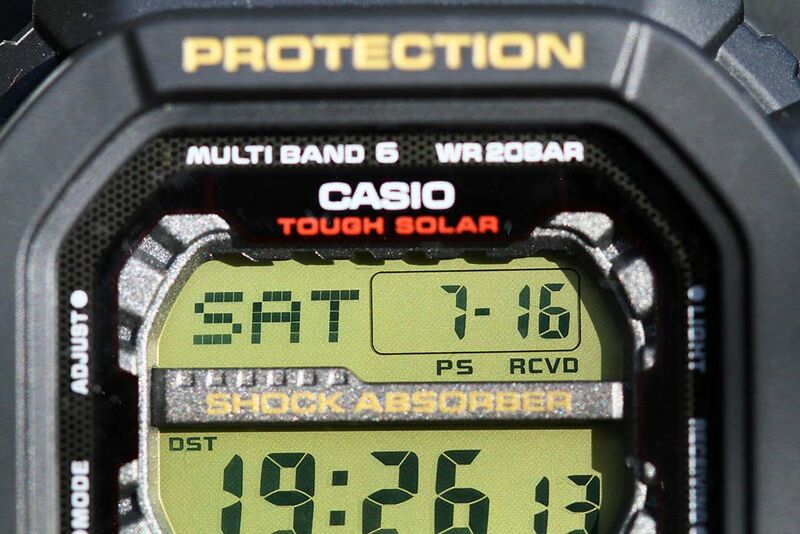 They wanted then, that in the near future all Casio watches would be at least solar and, when possible, syncing to an atomic signal. Although large parts of the world now have access to an atomic clock signal, no 6-Multiband Kings outside Japan, but a GX-56 model instead. 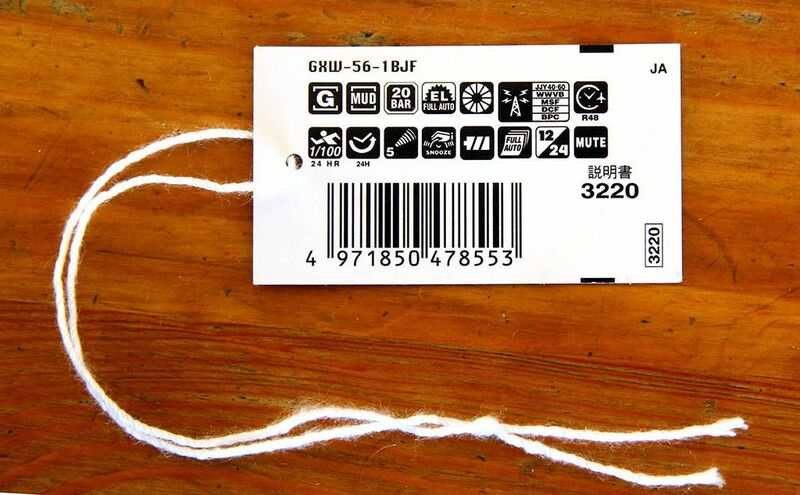 In Japan the DGK model was the only non-atomic “King”. I live quite ideal here in The Netherlands. 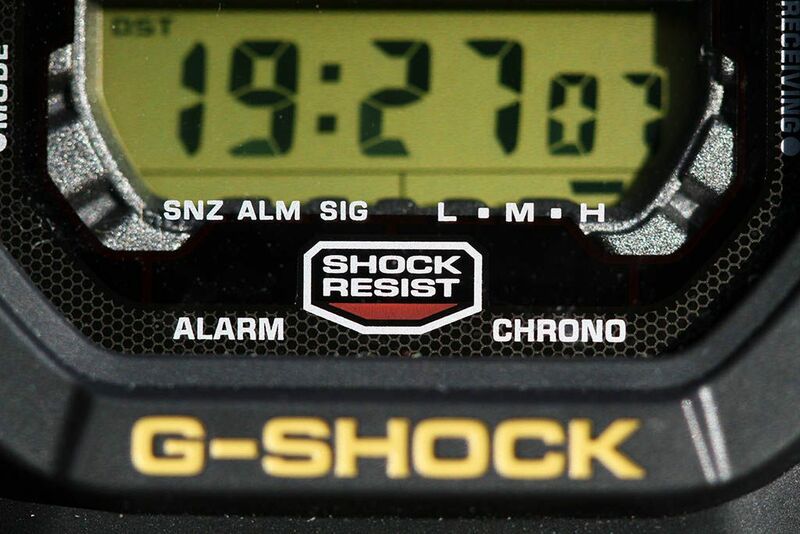 I’m in-between the two European transmitters in Anthorn (UK) and Mainflingen (Ger), so I really love my G-Shocks Atomic. 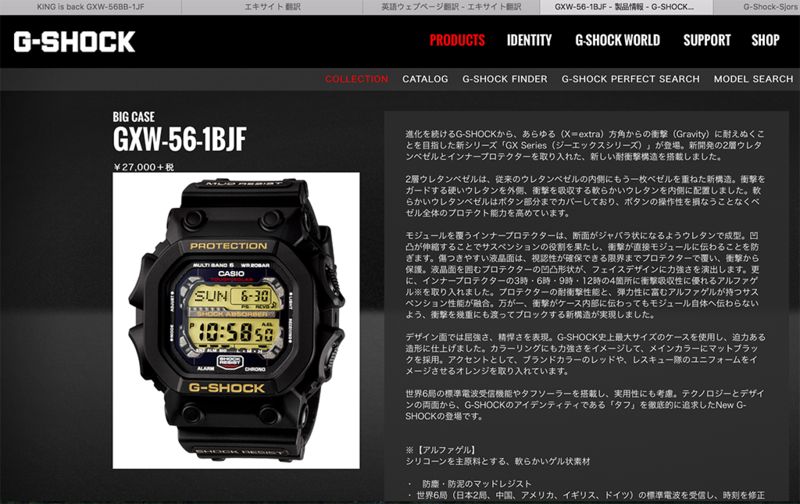 “Do you live in Europe and desperately want a “KING of G-SHOCK” but want to avoid paying taxes and import from US or Japan? 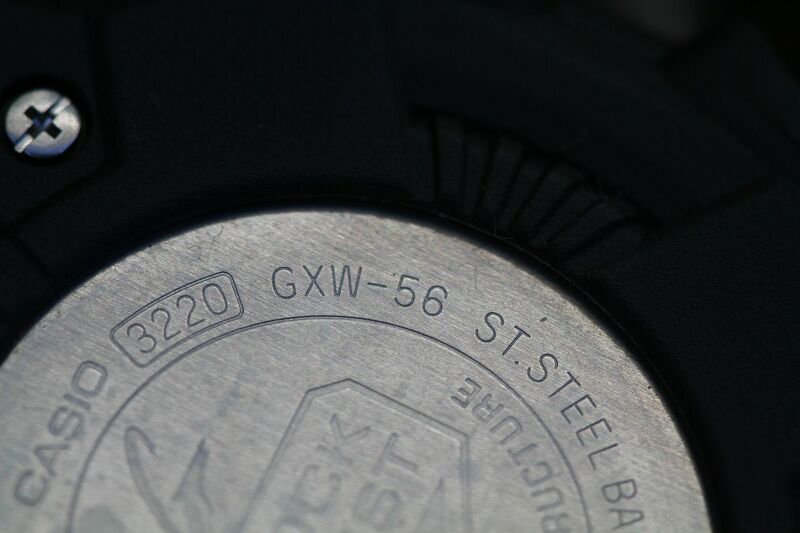 “Here is your chance to buy a BNIB GXW-56-1BJF from inside Europe. Wow, that add was written for me! That seller must have read my mind. 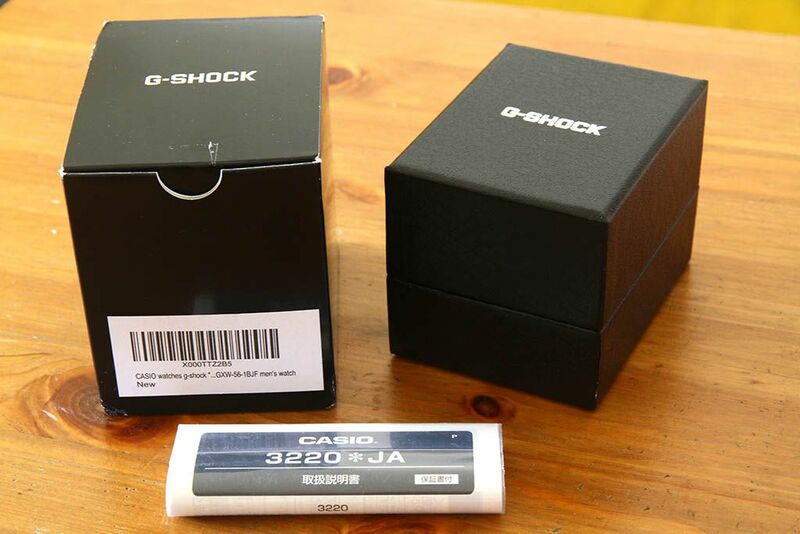 Importing G-Shocks from Japan is often very expensive. 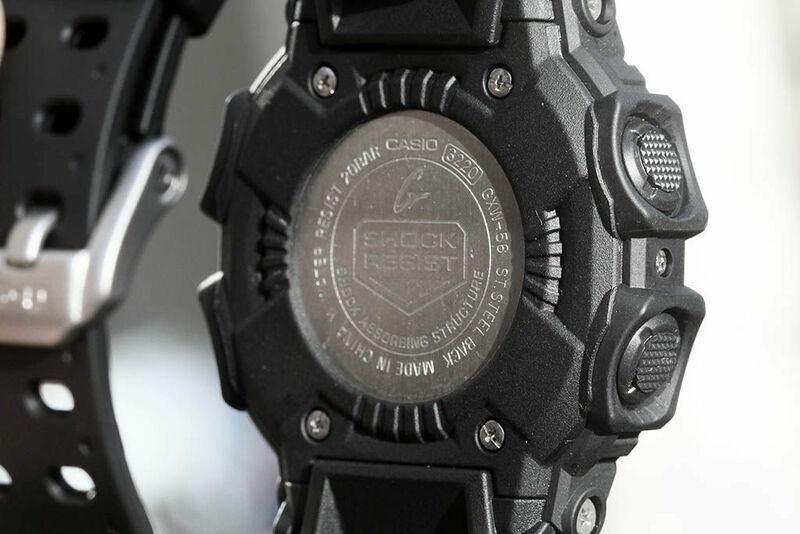 The cost of the G-Shock is not the real problem. You have to add shipping (sometimes also shipping from a seller to a hub in Japan), which is not quite cheap. When it arrives in The Netherlands every package with a content worth over €20.- from outside the EU gets taxed 21% VAT and €17.- fees is added the bill. Also your patience is put to a test. An average Express Mail Service package is hold up for 4 working days. And note that the shipping cost are also added to the VAT. So, the usual 3 day EMS service from Japan, as I was used to 10 -15 years ago does no longer exists. 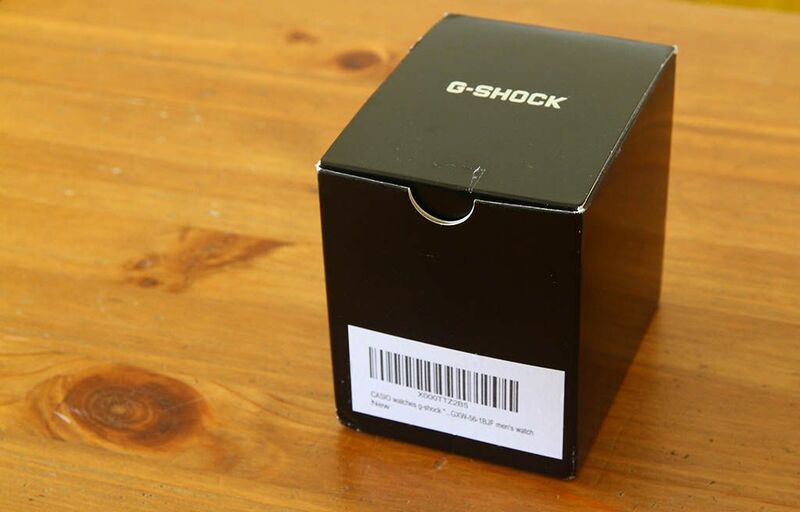 So if you find a €200 G-Shock, you probably pay around €25 for shipping. The customs calculate €47,25 VAT and add €17 fees. About 10 - 14 days later the postman is standing at your door with a bill of €64,25 to be payed cash at the door (without any early notice). So if you happen to have money in your wallet (a rarity in this digital era), you finally have your €200 watch for €289,25. I contacted the seller and got a quick reply. Next day it was in the mail and 2 days later I received a package from Denmark at the brewery. The watch was as good as new and I paid roughly the same price as it now costs in Japan, but all in. So no extra shipping costs or nasty tax bill. This lucky deal saved my probably around €80! 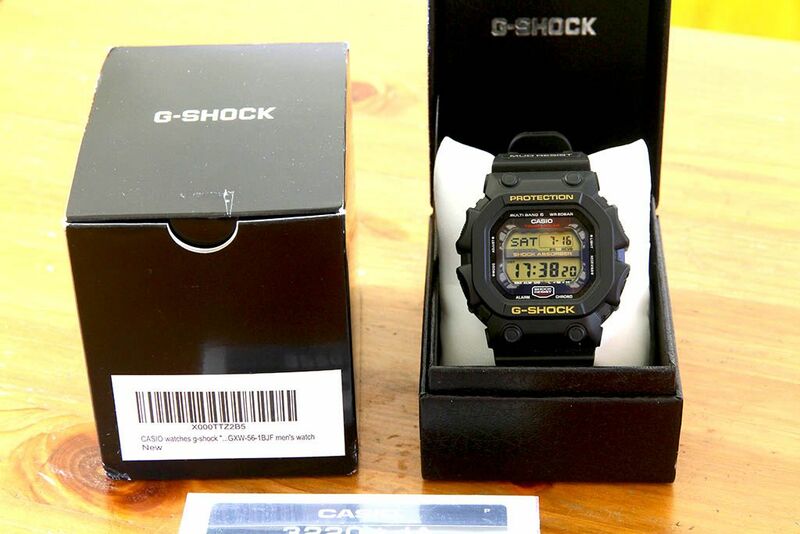 The seller bought his watch in Japan, but after trying it on, he considered the watch was really too big for him, even after reading my article about the GWX-56. My gain, his loss. 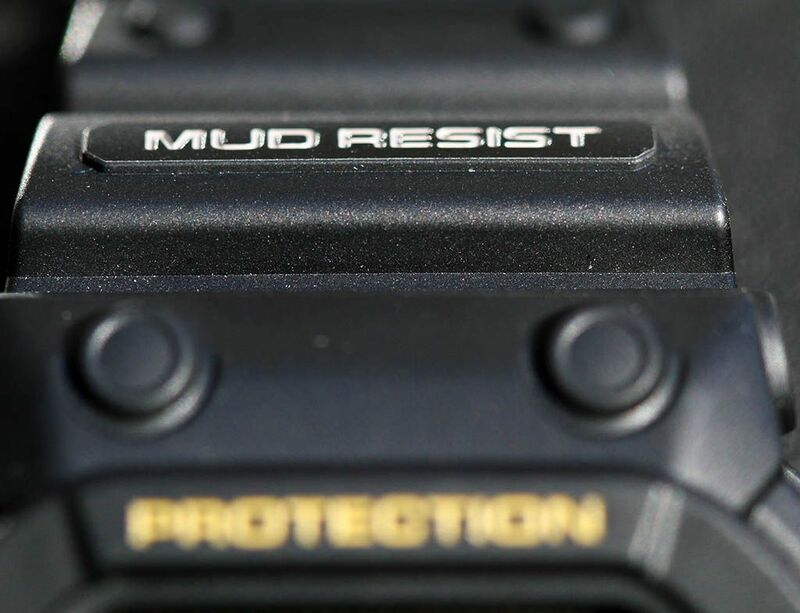 And there we might come to the real reason why there was a 4 year hiatus between the release of the second last GWX-56 model, the Khaki Green GWX-56KG-3JF and the latest GXW-56BB-1JF. The GXW-56 model is simply really BIG. It’s not a watch for everyone. If someone wears a King, it’s hard to look over it. 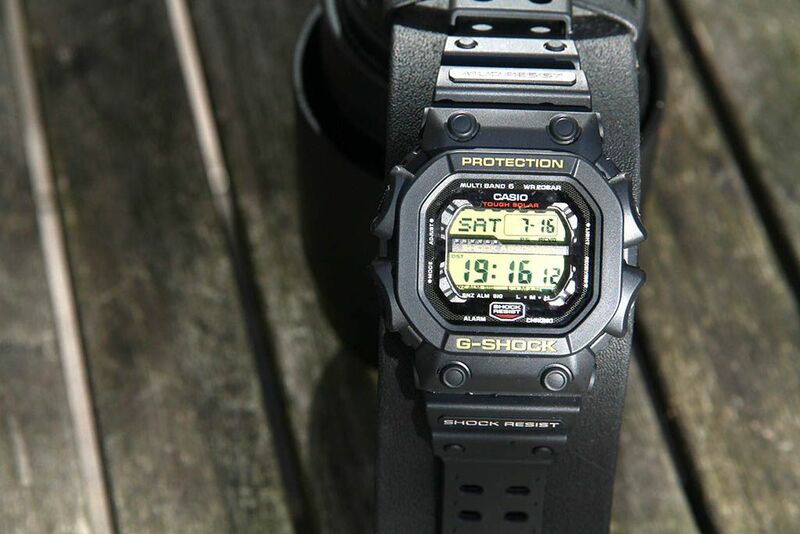 Although it has roughly the shape of it’s father, the DW-5600, it is completely opposite. 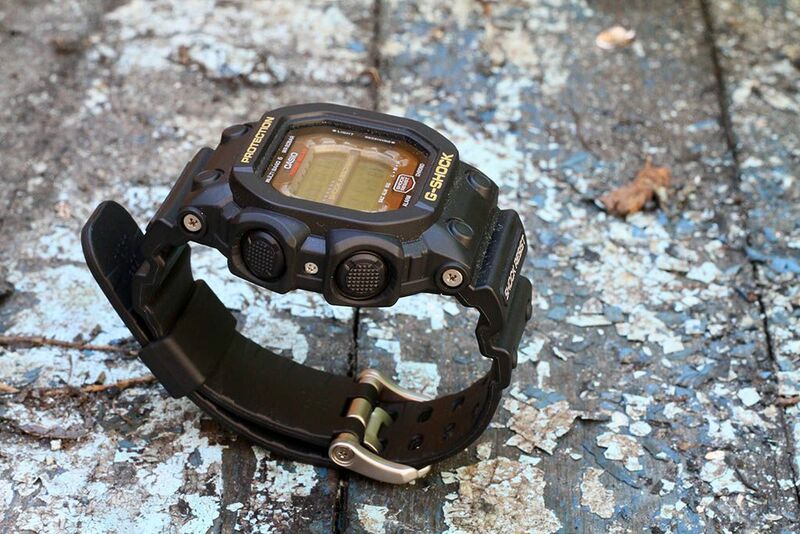 Where the DW-5600 is quite modest and discrete, the King is almost shouting on your wrist. It quite fitted in the upcoming wristwatch fashion from around 2010 of bigger and bigger watches. 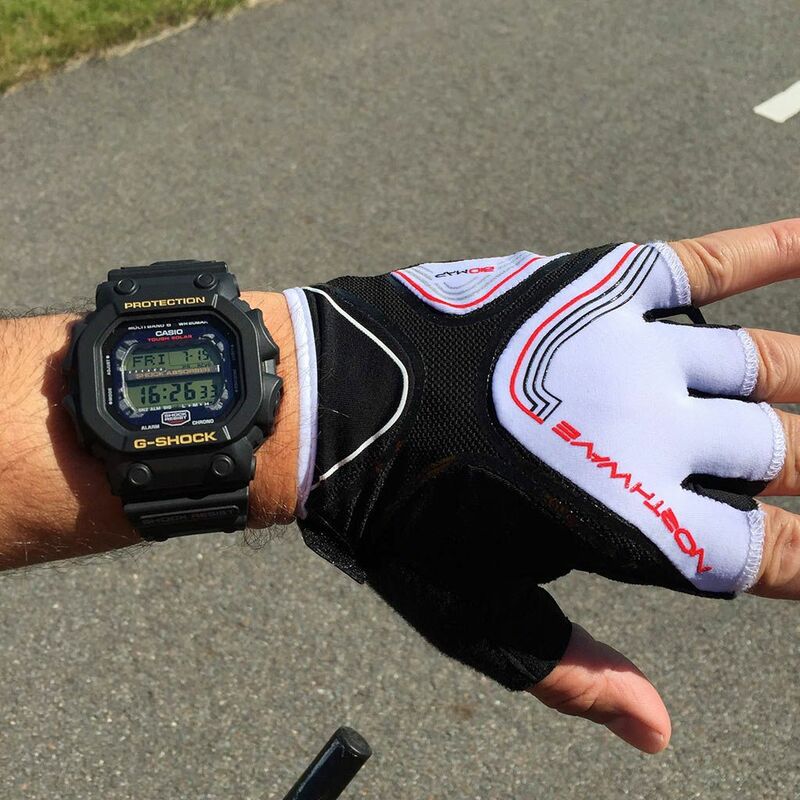 Casio’s answer was this King model and the very populair GA-100 and GA-110 models. 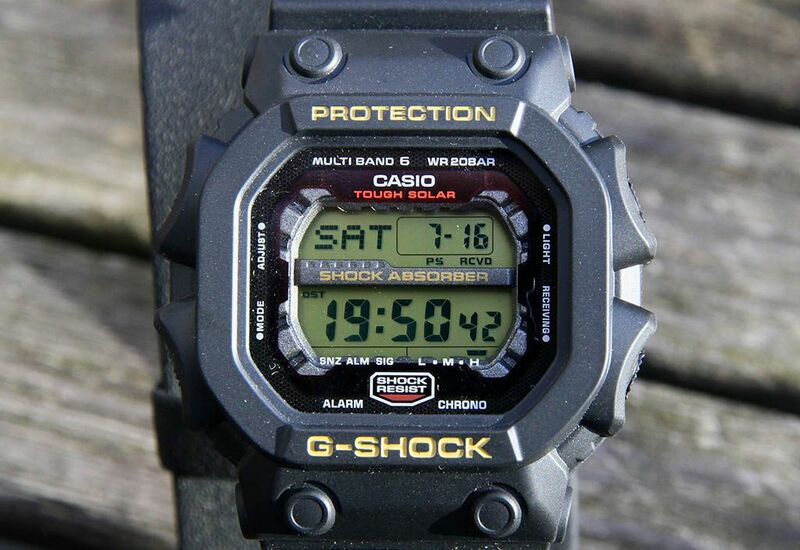 Probably the step to the GX-56 and GXW-56 was a big too far, in favor of the ana-digi models, which even now are very popular in street fashion. Frankly my preference goes to pure analog time keeping or pure digital. 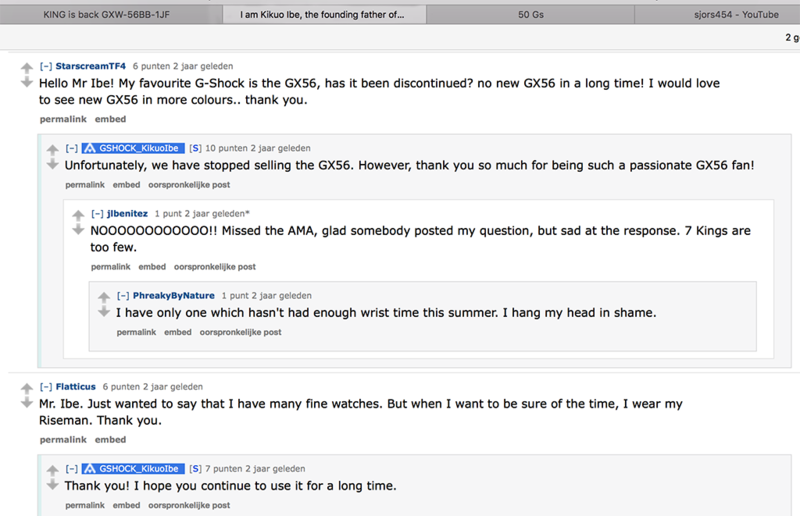 On July 31 2013, the original G-Shock creator, Kikue Ibe, was asked via a Reddit interview session about the status of the GX-56. The answer was simple. 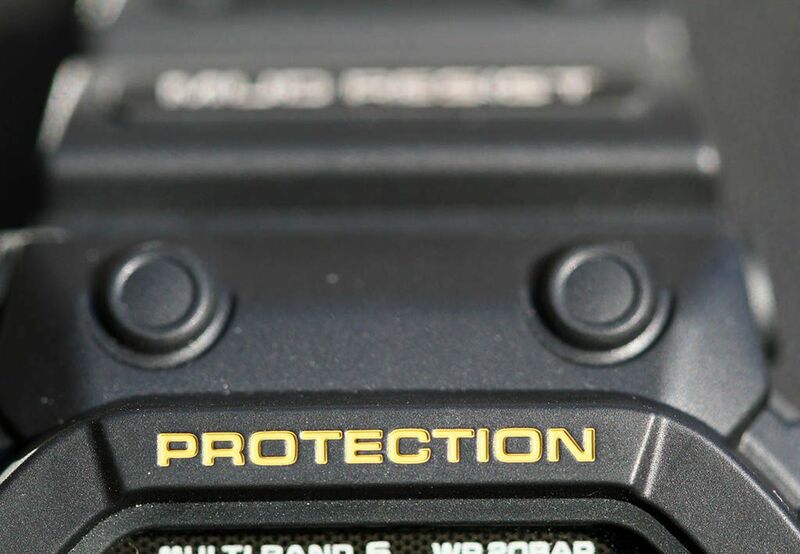 Casio stopped selling the GX/GWX-56. In other words, the model was discontinued. 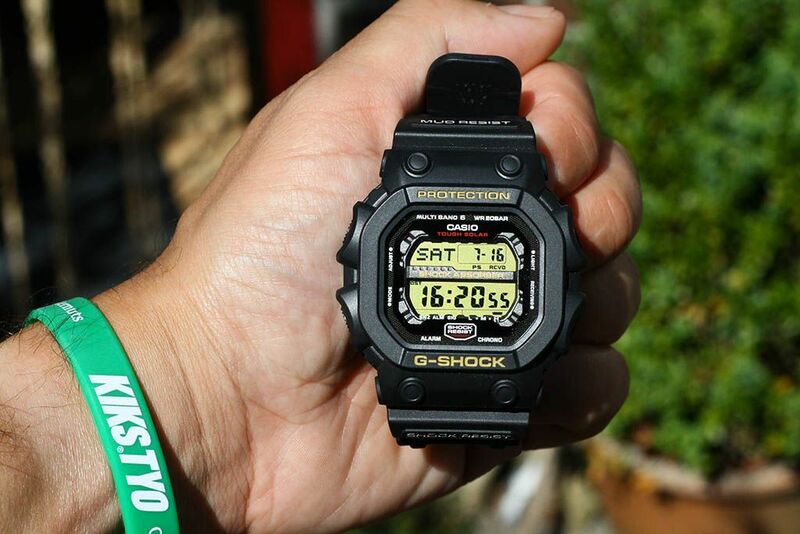 Until a few weeks ago, somewhere in May I got informed about the new “Solid Colors” series and in the snapshot I immediately recognized the GX-56BB, like a giant beefed up “Basic Black” DW-5600BB. Unique in this series is the absence of colored lettering on the dial and bezel and text minimized to that is essentials only. I was quite surprised and was actually planning to buy the Atomic version in Japan. But then, I realized, it was again a black model with a negative display. 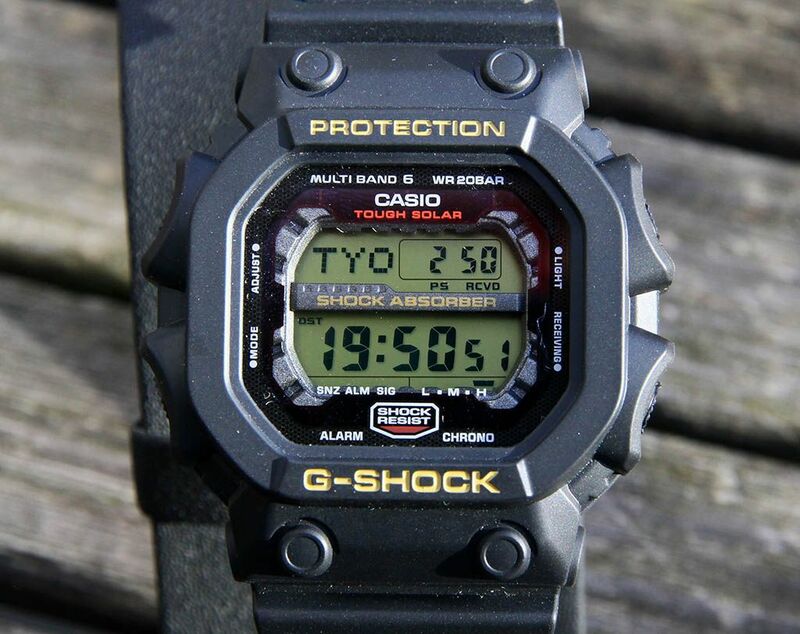 If it was black, I wanted a positive display for everyday wear, which initiated my hunt for the GXW-56-1BJF, as described above. When I started my hunt for the GXW-1BJF, I noticed something strange. 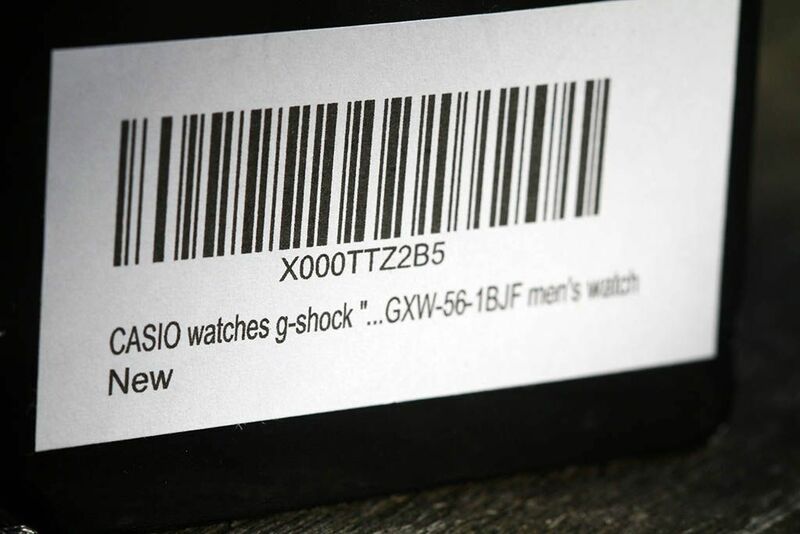 Those who use to browse G-Shock Perfect Search (GPS) for information of old or new G-Shock models, know that discontinued models have a red notification “生産終了” (Production Ended) before the date of release. To my surprise this red notification was absent on the GXW-1AJF and GXW-1BJF model (see examples above). I’ve never checked this before in the past, but it seems these models were back in production again. This was actually confirmed by the lot number ending with 079F. 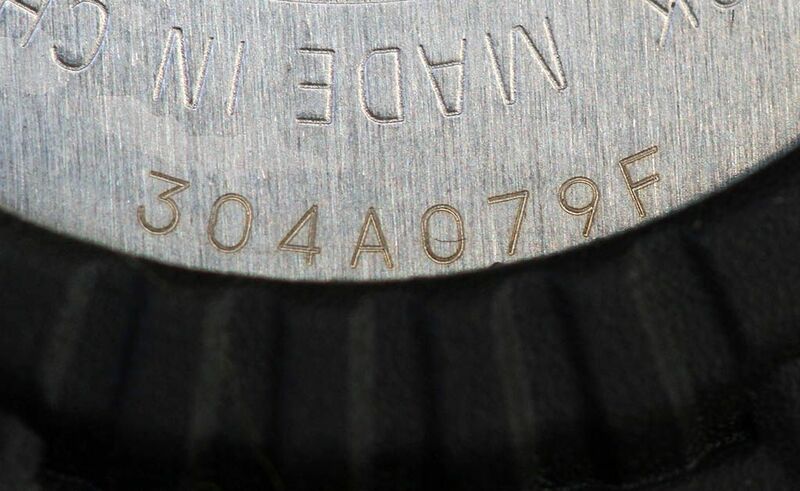 My watch was made on the 79th day of a year ending with a 6, in plain English March 19 2016 thus. 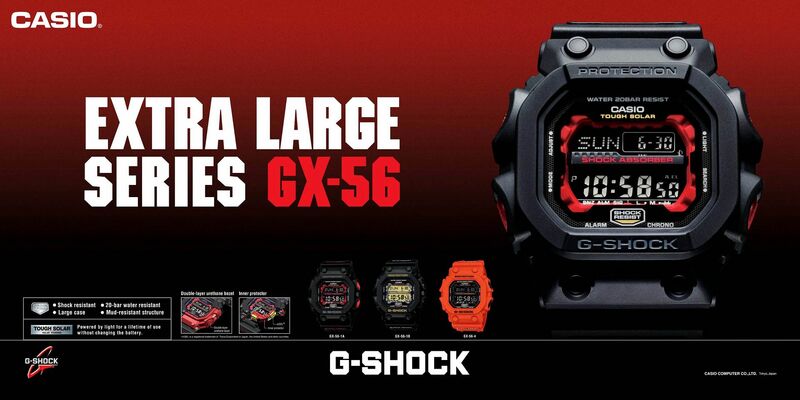 So this watch is big, but, besides that, what does it set apart from other G-Shocks and what does it do. 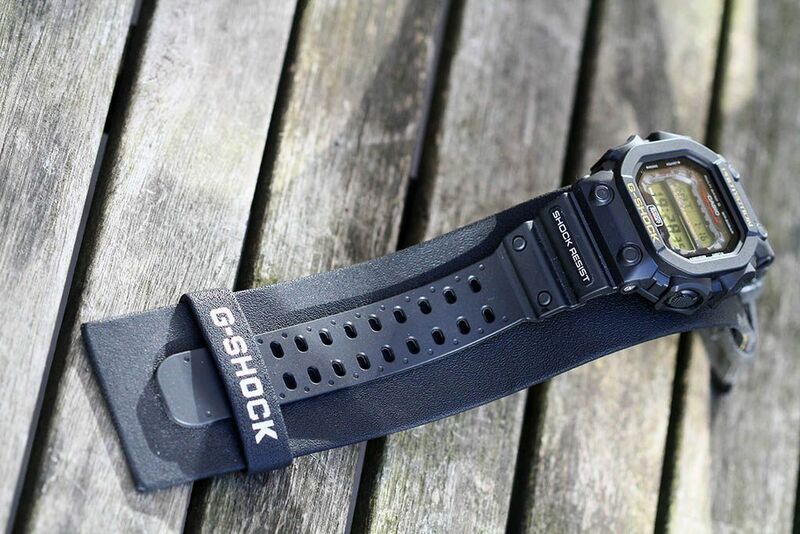 The GXW-56 and GX-56 models were the first G-Shock models that had an α-gel shock absorber around the module. 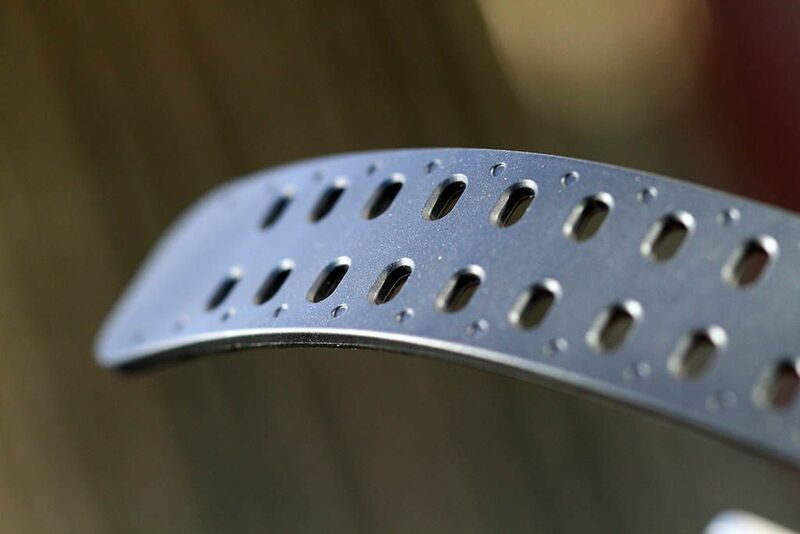 This gel, which is also used in running shoes, is known for it’s excellent shock absorption capacity. 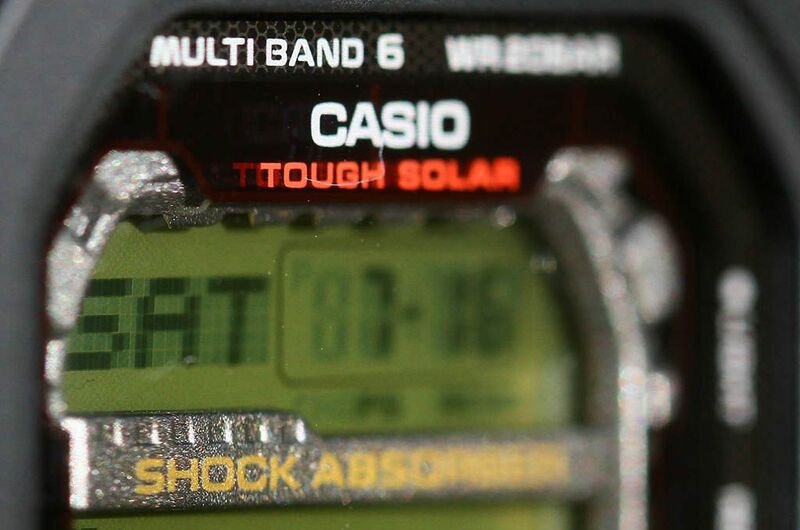 The α-gel shock absorber is partly visible around the display. 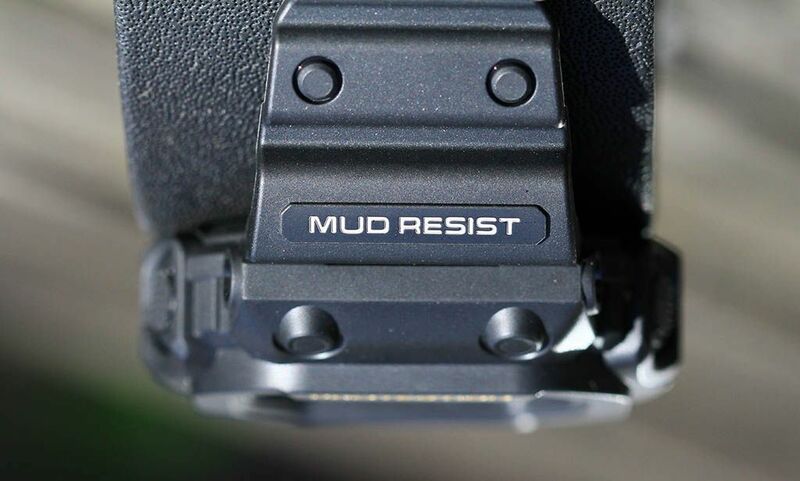 The GXW-56 has Mud Resistant bezel, which means that the watch is totally covered with resin on top and aside, to keep sand and mud to get in the moving parts of the buttons. 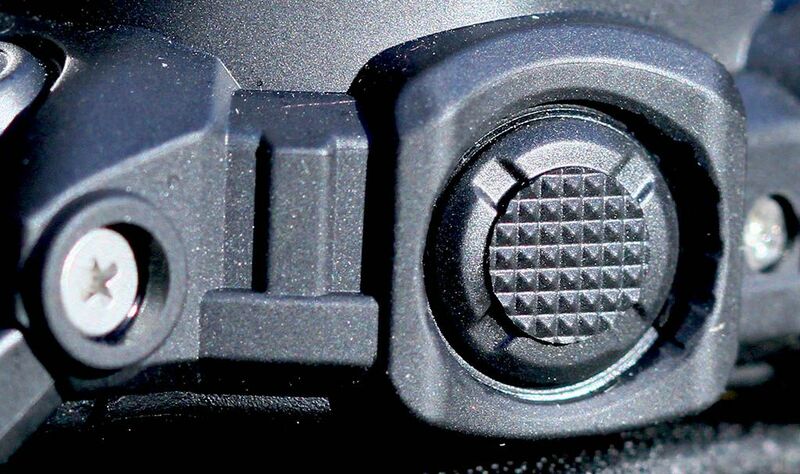 The parts that look like the buttons are in real softer parts of the bezel covering the real buttons. 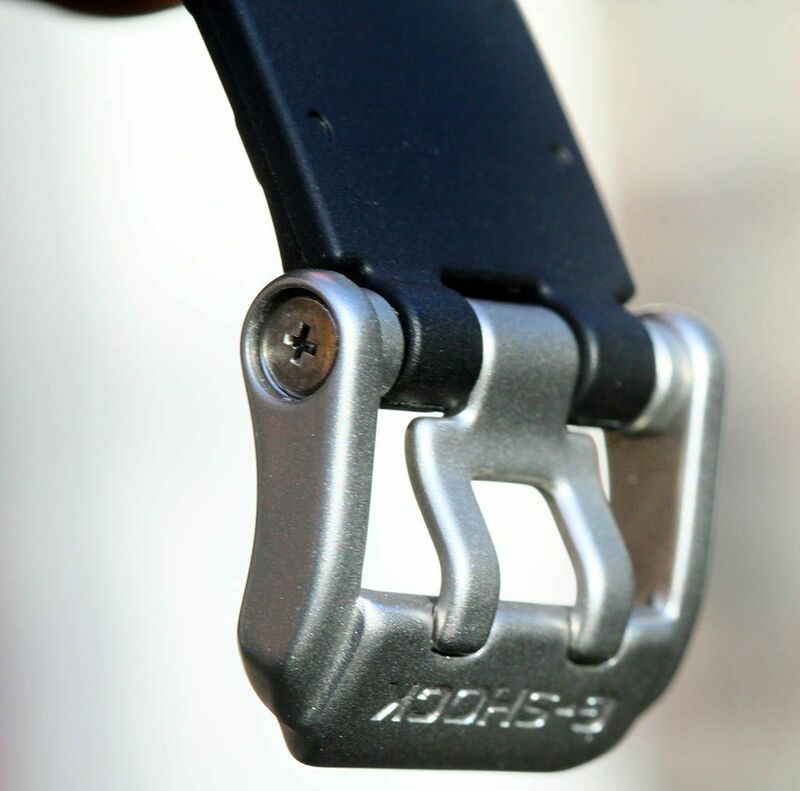 The watch also has a back protector, which makes wearing this watch quite comfortable. 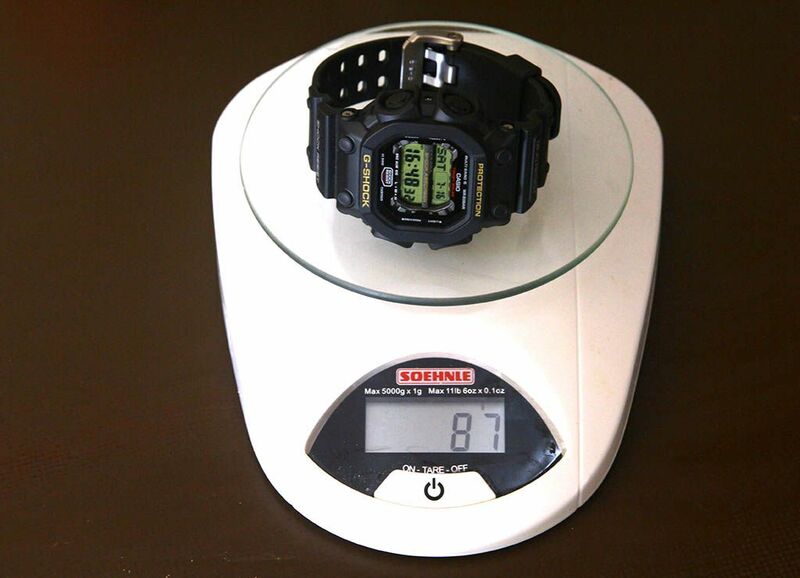 It’s also, with it’s 86 grams (I measured actually 87 grams), not a heavy watch at all. 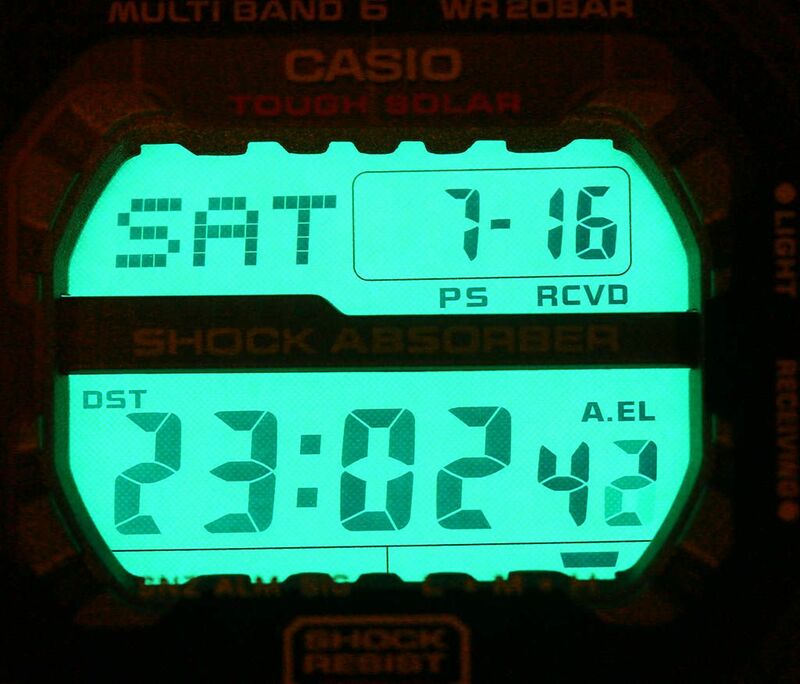 In normal time mode the watch shows time, day and date, but if you press the ADJUST button shortly, it can also display time in a second timezone with it’s City Code (see photo series above). The shown timezone can be selected in the World Time mode. When leaving the Timekeeping Mode via the MODE button, you enter this World time Mode. Next you enter the Alarm Mode with 5 Alarms (one is a Snooze Alarm) and the Hourly Time Signal. 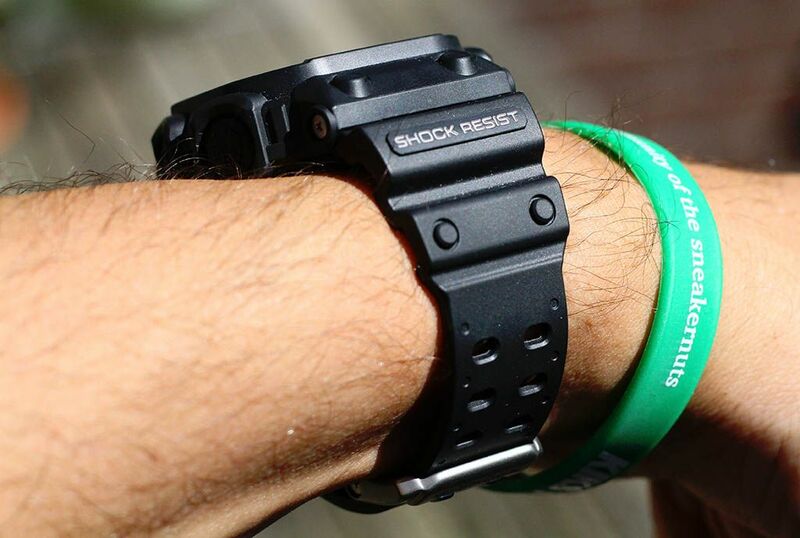 A 24 hour Stopwatch and a 24 hour Countdown Timer make this a pretty complete wristwatch. Further more the EL duration can be switched between 1.5 or 3 seconds and does it also have an Full Auto Illuminator. If you have enabled the Power Save function, don’t be surprised if you wake up early in the morning with your watch on the bedstand and see the display is totally blanc. 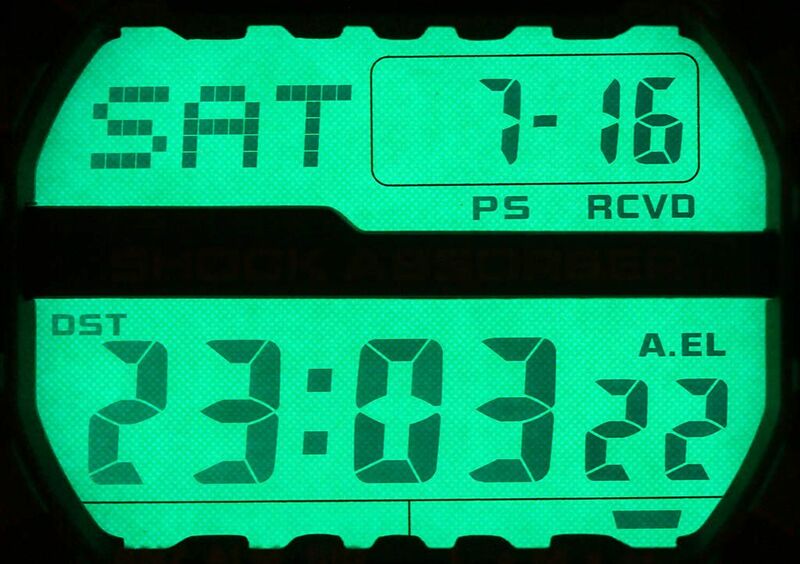 This is not an error, but the display turns of after some time when left in the dark to conserve energy. 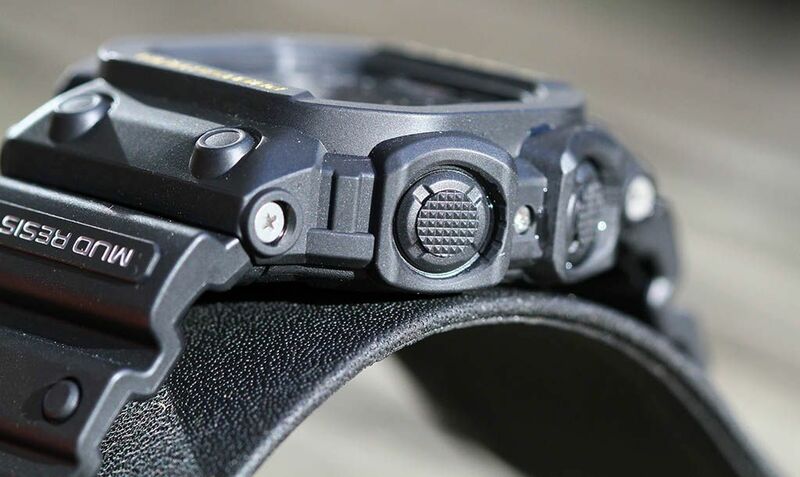 Light or a press on a button will revive your watch immediately. Meanwhile, if you live within the reception range of one of the 6 Atomic Time Transmitters has picked up the time signal, while you were sleeping. 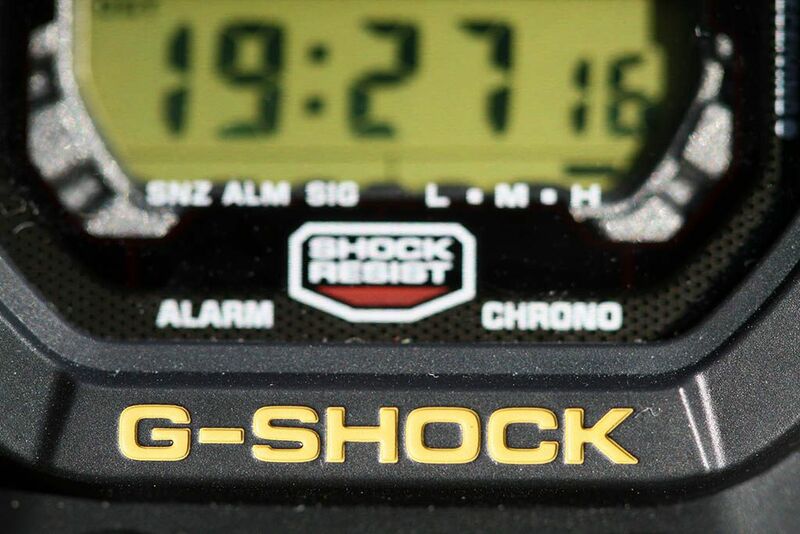 I really love these Multiband-6 G-Shock models. Yes, I am very happy with my new GXW-56-1BJF. 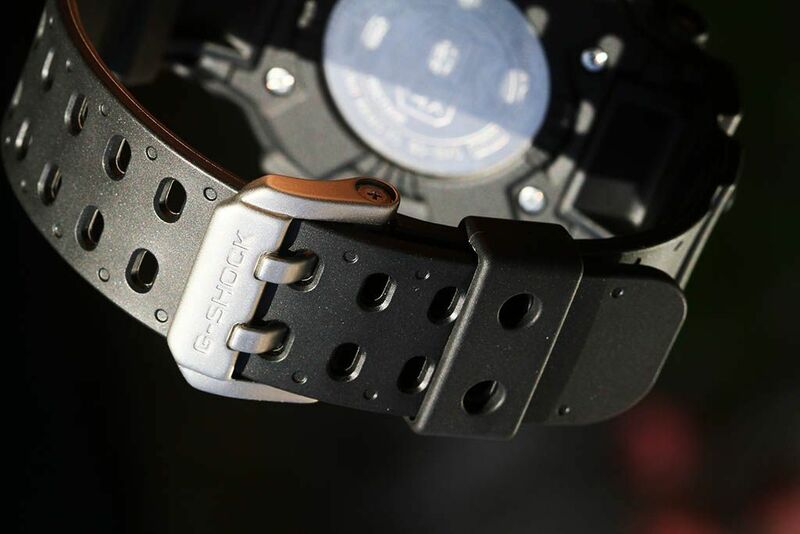 It’s by size and appearance maybe not a watch for everyone, but in the G-Shock Collectors community these “King of G-Shock” models are quite popular. Even in Asia, where the average wrist size is quite smaller than mine, man and women proudly show off their Kings on fora and social media. I sincerely hope the GXW-56BB-1JF isn’t the last King model we see. 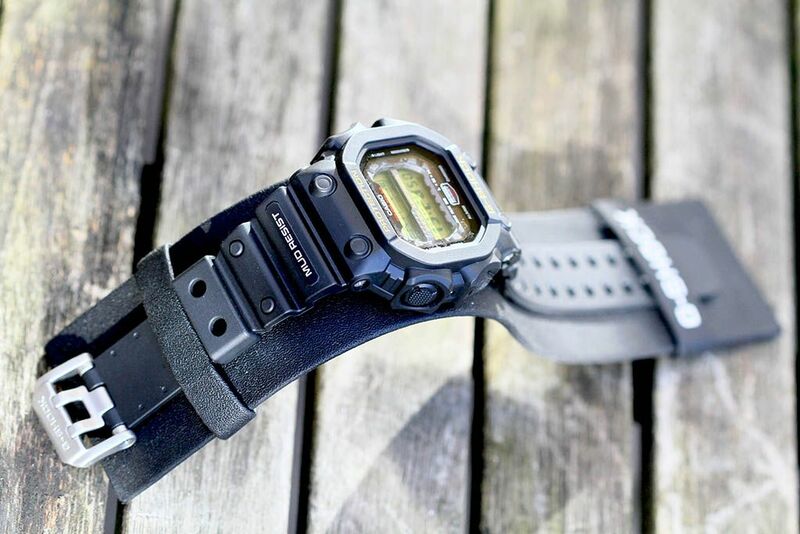 With only one bright orange model between a khaki green and black models (well, for me the DGK is mostly black too) I think it’s time for Casio to bring more colored models. A bright red model with a gold positive display or a Caterpillar yellow model with a negative display would be awesome and I would buy instant. 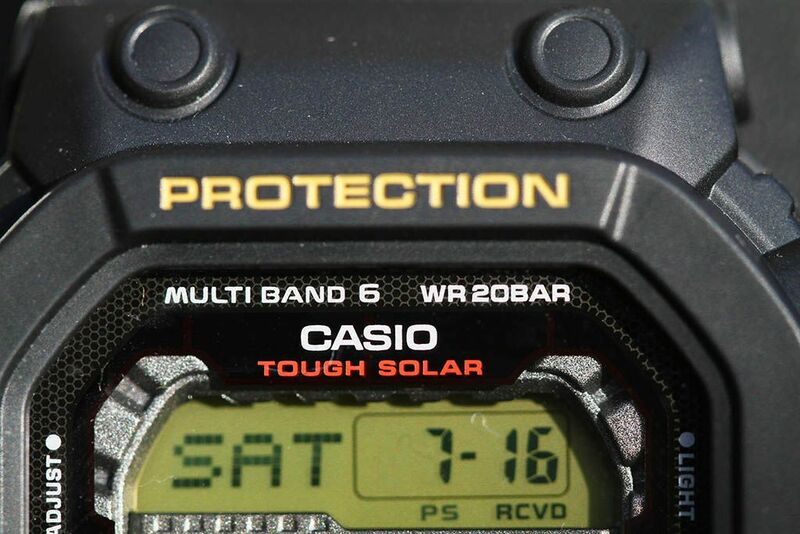 And if Casio would consider only to make the GXW-56 models and release them worldwide, that would be totally awesome. 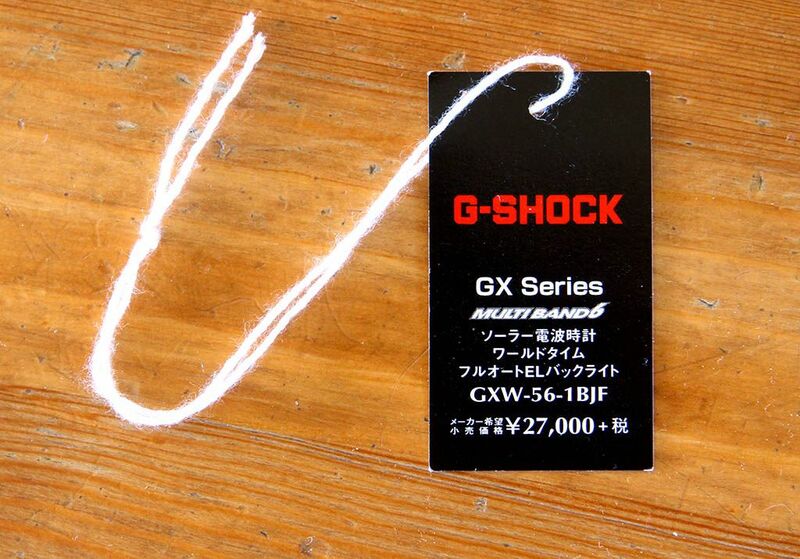 The GXW-56-1BJF is still, or again in production and in Japan you can find them new with prices starting around €220.- without shipping. If you live in the EU, be aware of the extra VAT and customs fees, which can be quite high and else might spoil your pleasure of getting a new watch. I'm Sjors and you might know me from my G-Peopleland website. I started this weblog in 2008, together with Greg from Canada. 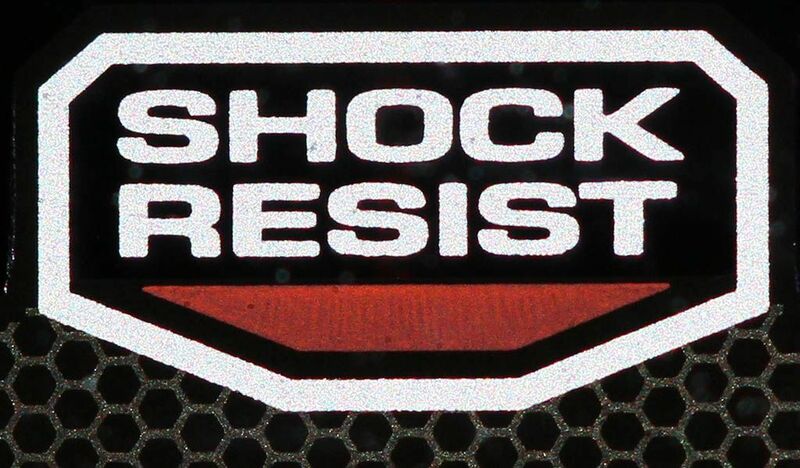 My initial goal was to write about 50 G-Shock models in one year. 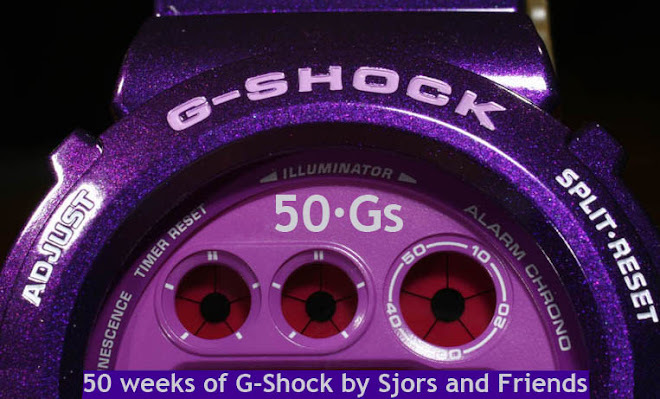 Meanwhile we are in the seventh series of 50 G-Shock Articles. I write mostly all the articles, but I also invite guest authors. 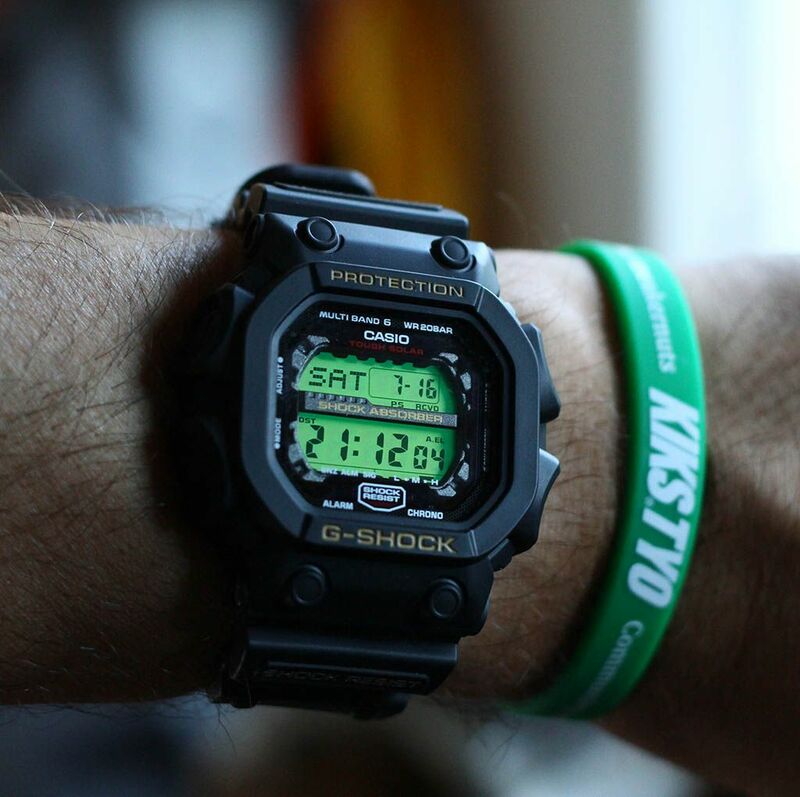 All G-Shocks I write about are mine. These are NOT for sale. Please no enquiries. The answer is simple: "No". If you like what I have written or have questions or improvements (I am only human), please leave a comment. Since I got a lot of spam comments, I review all comments before posting. I hope that this doesn't withhold you from writing. I try to publish your comment as soon as possible. You like to know more about me or 50 Gs? 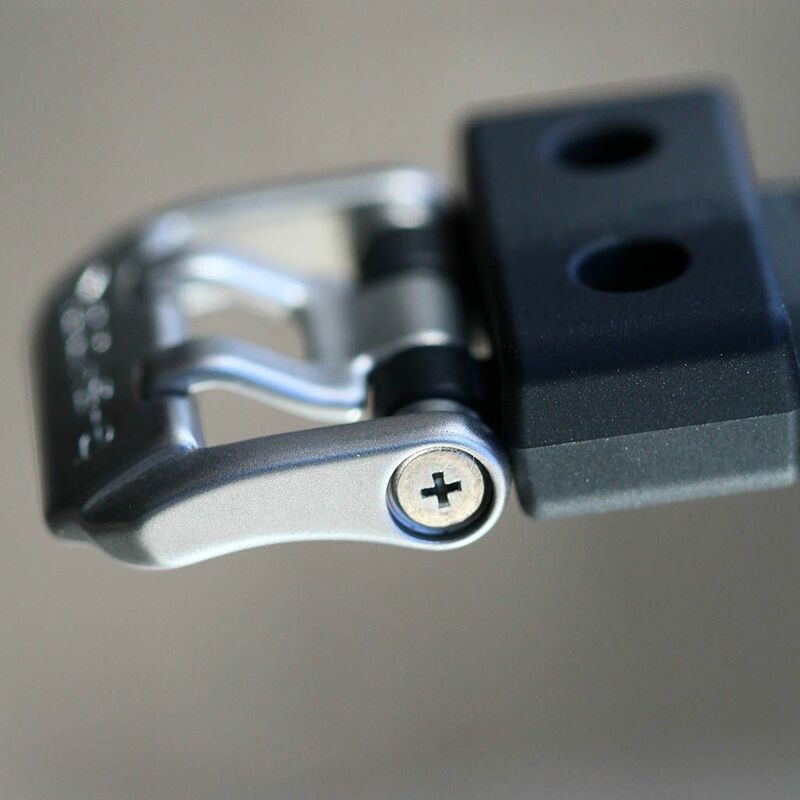 Check out the FAQ's page. Since early 2014 we had to upgrade to a new computer running Windows 8. Since only Windows XP was supported with my WYSIWYG HTML-Editor, I can't add, edit or even reach any content of G-Peopleland anymore. I do not know if I ever have the energy to make a new website (there are over 400 pages), but until then G-Peopleland will still exist as a monument in G-Shock History. Also note that my website e-mail address is completely filled with spam and therefore full and unreachable. Best to contact me via a comment or Facebook. Sorry for the inconvenience. 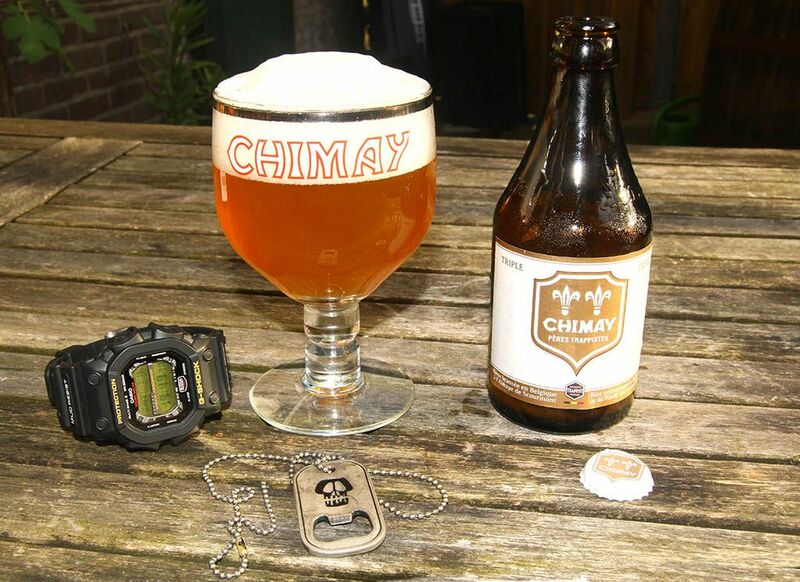 Watchaday Weblog by Jason H.
How's da Dough, follow the currency exchange rates. 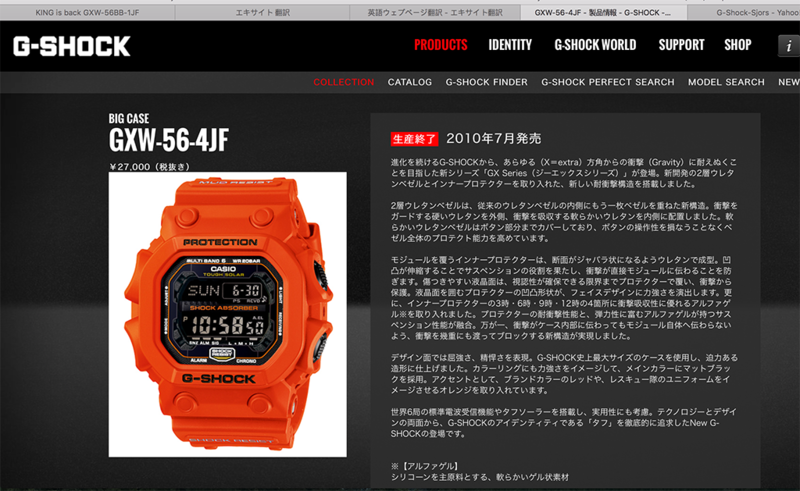 山猿, Photography weblog of "Risefreak"
Video Channel of Riley's My G-Shock. 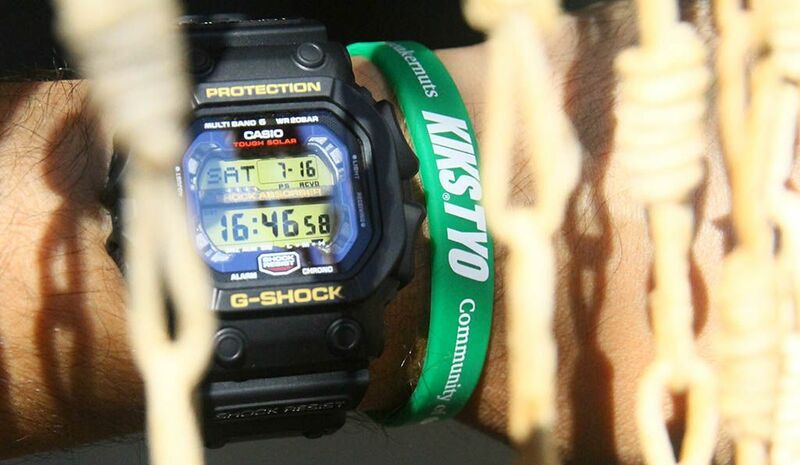 #9: The G-7800, a basic G-Shock with a lot hidden under the Hood! 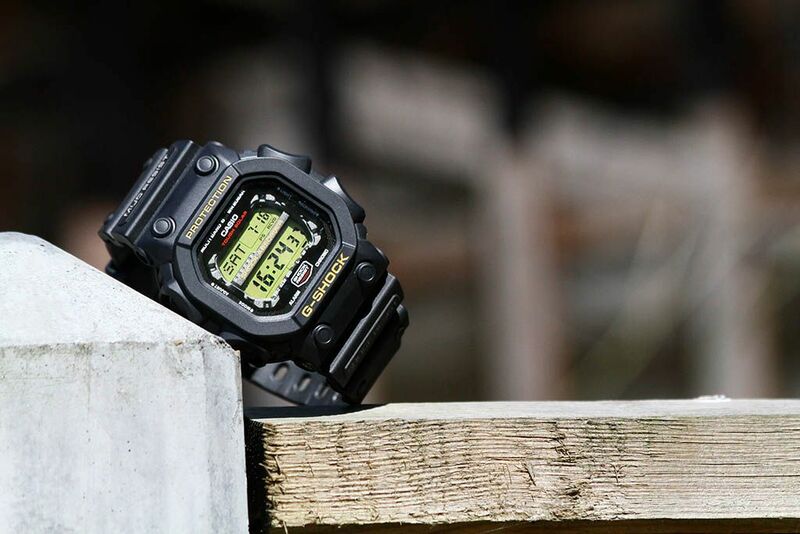 G-Shock #27: 3rd Generation Mudman, the G-9300. 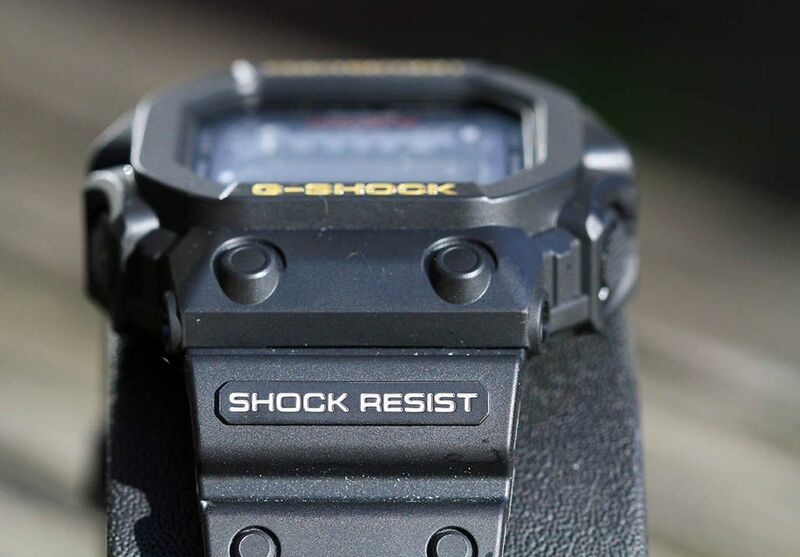 G-Shock #44: From G-Shock Junior to G-Shock Mini. 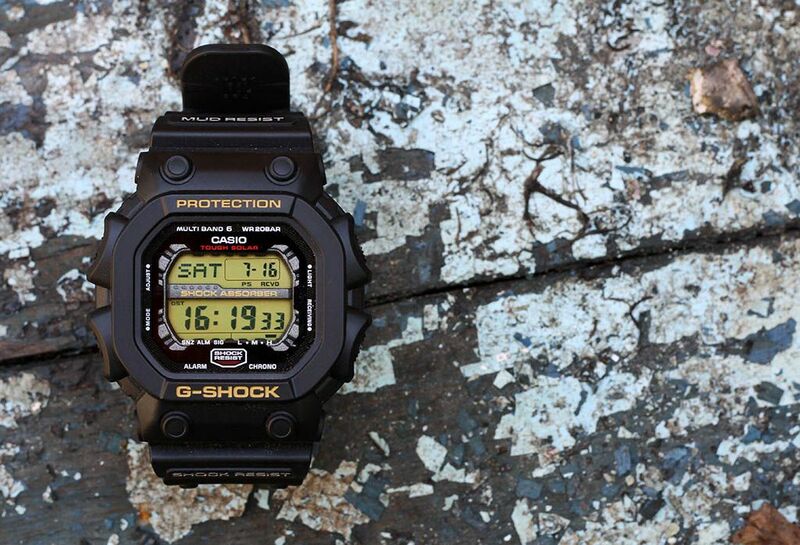 The GMN-550. Copyright text and photos: 50 Gs and G-Peopleland.. Awesome Inc. theme. Powered by Blogger.